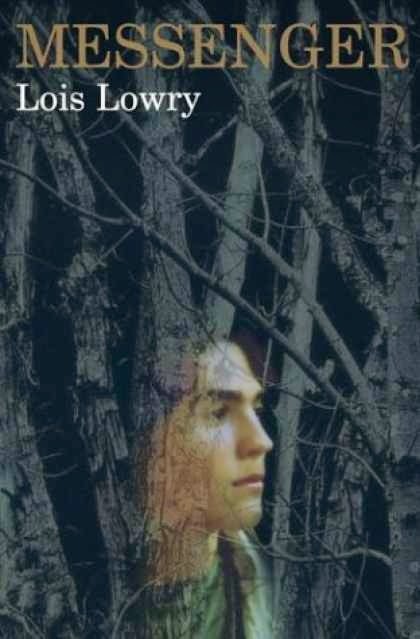 Messenger by Lois Lowry is the third book in the Giver Quartet . In this novel, we are reacquainted with Matty and Kira from Gathering Blue, and Jonas from The Giver, who is now called Leader. Matty is the main character in this story, though. He is the messenger for Village because he is the one who Forest allows to pass through freely to other communities. When the people of Village decide to close to newcomers, it is Matty who must post signs warning others that they are no longer welcome. During this trip through the ever-changing Forest, he seeks out Kira in the hopes of bringing her to Village before it is too late. I enjoyed the relationship Matty has with Seer, Leader and other characters throughout the book. He is a genuine character who recognizes his own flaws as he explores the gift that he has discovered in himself. I thought Lowry did an excellent job of keeping his personality from Gathering Blue while also showing how he has grown so much since that time. Once again, there's a magical aspect to the story, with Kira, Leader and Matty all using their special gifts throughout the book. Seeing the storylines of the first two books brought together here was fun, and I'm looking forward to reading the final book in the series, Son , to see how it is all wrapped up in the end. If you enjoyed The Giver, I strongly recommend you read the rest of the series. While I enjoyed The Giver the most, it's fun to continue the journey in Lowry's world. This review was written based on a copy of Messenger that I borrowed from the library.